Cocktails can of course be very fattening; often they are laden with sugar to make them taste like pop which in turn makes them easy to quaff at an alarming rate. However, if you make them yourself, you can control exactly what goes in the glass. Many recipes will call for an ounce of sugar syrup which can equate to over 150 calories before you've even added the alcohol. All of these recipes use only a teaspoon or two of syrup, but will still taste great and you'll be less inclined to chug them down like a Sunny D crazed teenager. Each cocktail contains around 180 calories which is less than a large (250 ml) glass of wine. First up is a far less sugary version of the Mojito; a cocktail of rum, mint and lime whose origins are Cuban, but whose popularity has spread worldwide. This version uses a little runny honey to sweeten the taste, but far less than the equivalent sugar in a traditional Mojito. As a result, the other flavours really come to the fore, so be sure to use a good quality white rum and the freshest of ingredients. Add the mint leaves, honey and lime to the bottom of a shaker and muddle (squish). Don't overdo the muddling as the mint will end up tasting vegetal rather than deliciously minty if the leaves become too bruised. Pour in the rum, a handful of ice and give it a good shake (with the lid on of course). 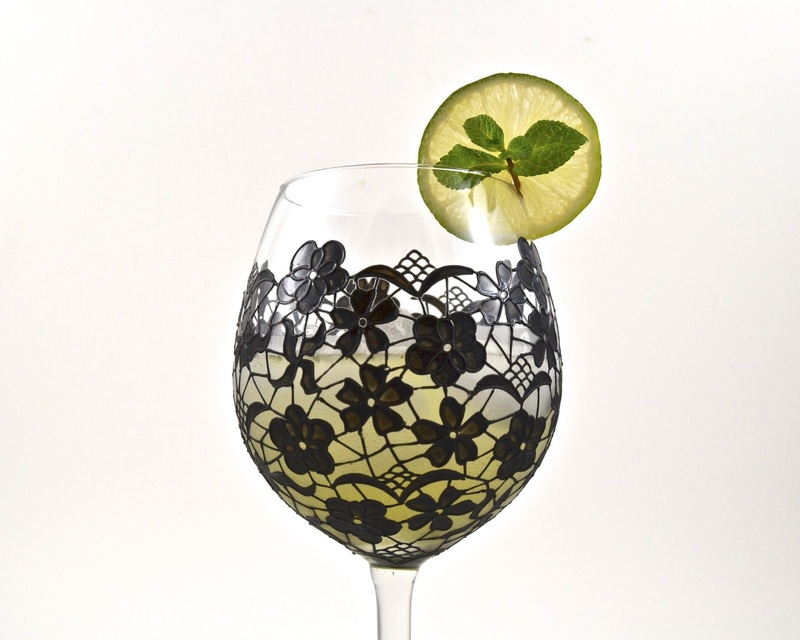 Put plenty of ice into a chilled glass and strain the cocktail into it - be sure to check the strainer isn't clogged with mint or you won't be able to get all the cocktail out. Top up with a little sparkling water and give it a little stir to mix. This next drink uses Berkley Square Gin which is distilled in the traditional, London style and then infused with a bouquet garni of botanicals, including lavender, sage kaffir lime and basil. The Lavender Martini Spritz uses a little lavender syrup and fresh lime juice to enhance those wonderful flavours and just a little dash of sparkling water to diffuse the intensity. Add the gin, syrup and lime juice to shake with ice and shake hard until the outside frosts over. Open the shaker and add a dash of sparkling water. 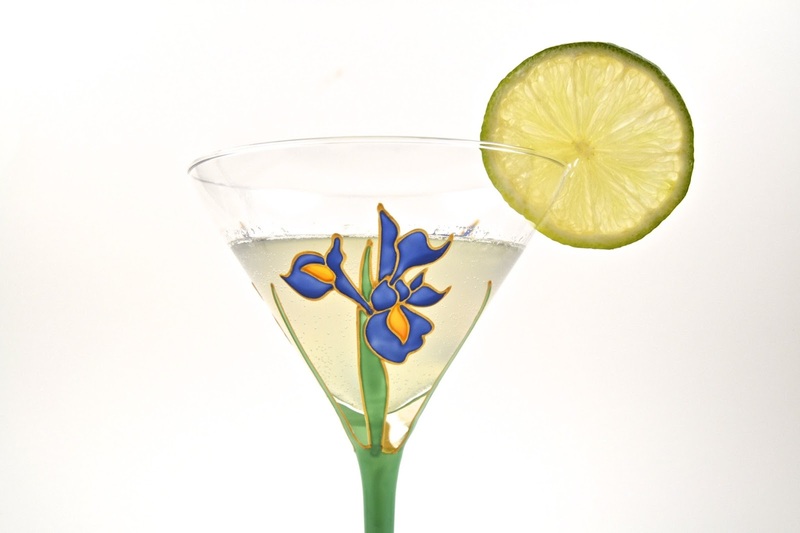 Strain the cocktail into a chilled martini glass and garnish with a wheel of lime. Add the sugar to the apple juice in the bottom of a shaker and stir until dissolved. Add the vodka, mint leaves and muddle gently before popping in a handful of ice and giving it a shake. Double strain the cocktail to remove the bits of mint and pour into a chilled champagne flute. 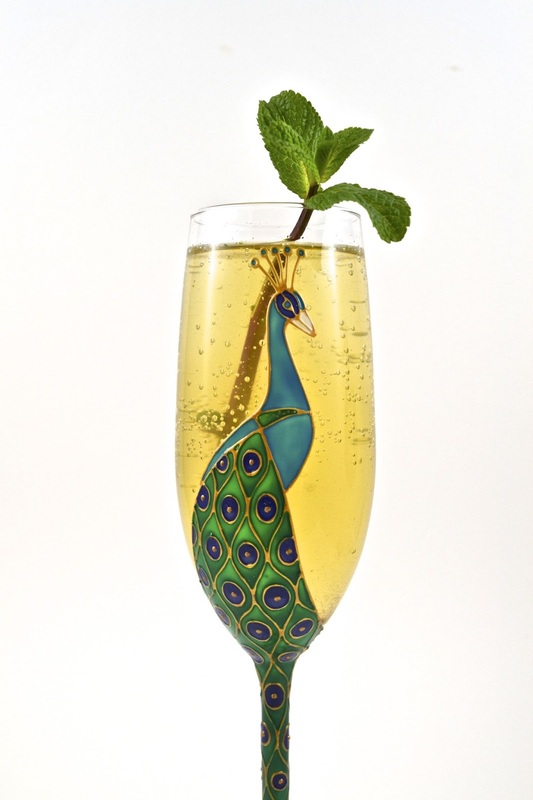 Carefully top up with fizz and add a sprig of mint to garnish.